Yoshi Touch and Go is a video game that was developed and published by Nintendo. It was released in North America on March 14, 2005. The game revolves around Yoshi and Baby Mario/Baby Luigi. Asuka Ota (The Legend of Zelda: Four Swords Adventures, New Super Mario Bros) and Toru Minegishi (The Legend of Zelda series and several other Nintendo games) composed its music. 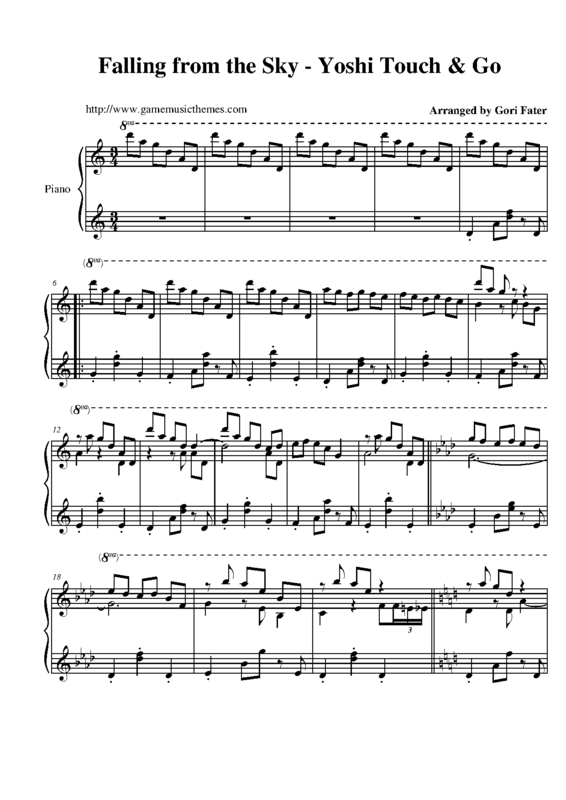 In this page you can download sheet music, music files and more for the musical themes of the Nintendo DS (NDS) video game "Yoshi Touch and Go". Click on the name of a theme if you want to visit its individual page, where you may find more information about it. If you are having problems downloading or opening the files, please visit this link: How to Use this Website.